The Road Transport Department of Sarawak (JPJ) has received new patrol vehicles for them to conduct their duties in Sarawak. Sarawak is the first state outside of the Klang valley to receive the new patrol vehicles which now spot a new design and plate number. The vehicles were officially launched in Putrajaya recently. 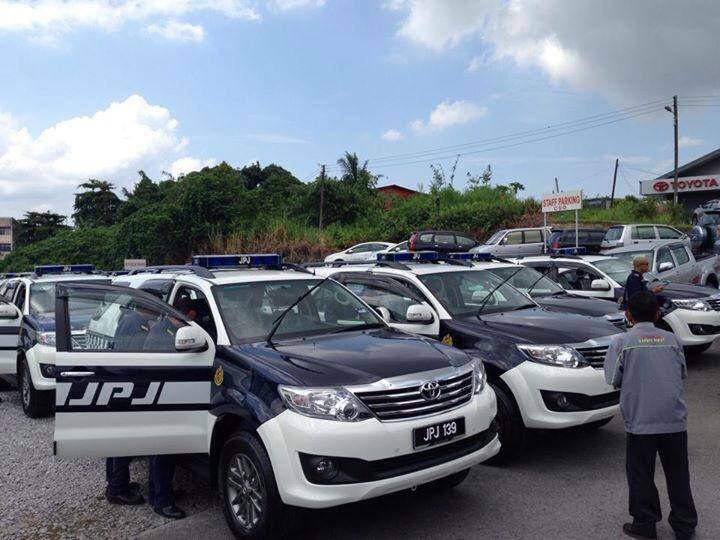 According to the JPJ official Facebook, Sabah would be the next state to receive the new patrol vehicles, as the photos enclosed with their posting also showed that all the JPJ vehicles would bear the affix ‘JPJ’ instead of ‘W’ (which is normally the registration number for government cars) or ‘Q’ (Sarawak vehicle registration number). The new vehicles are made by Toyota, and are painted in a radical white and blue colour.